Great idea! I will paint mine up and send a photo! This is such a wonderful thing to do! So freeing! 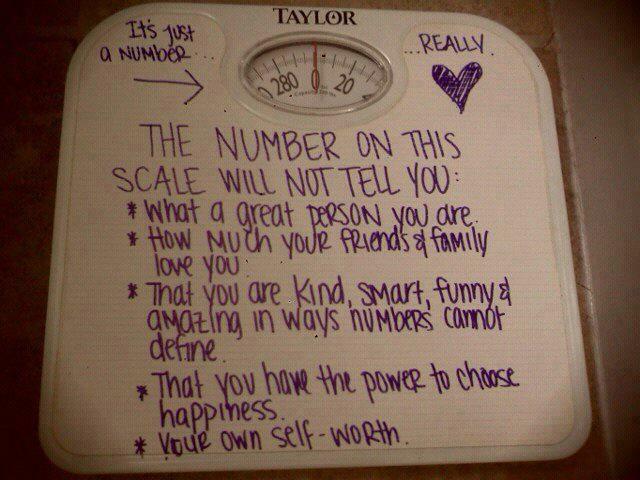 I don’t have a scale. I do; however, have a tape measure. It’s not as fabulous as the one Mary Poppins had, but it is pink. I was considering writing “fabulous” on the number I want my waist to be, but that may be pushing it.